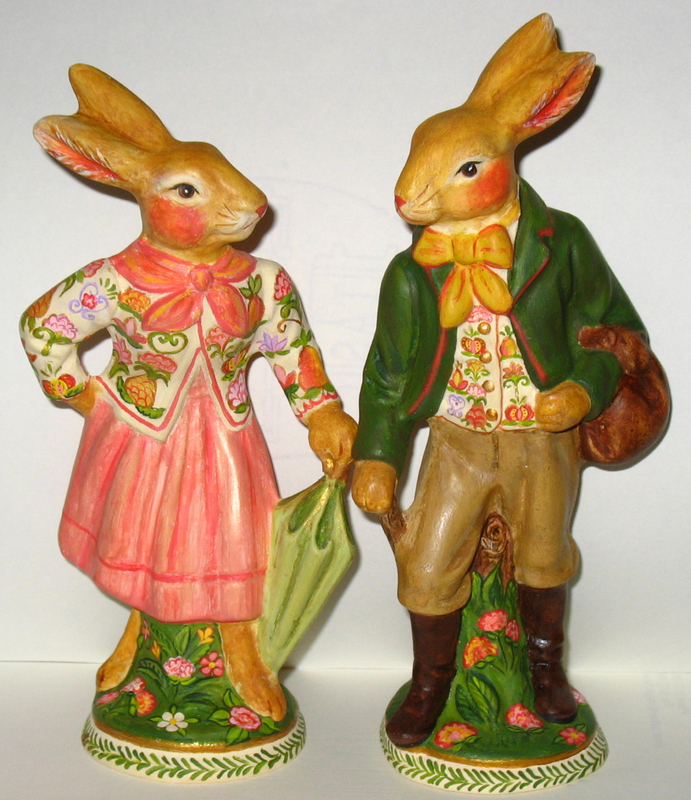 Bring a piece of New England folk art into your home for the holidays with this hand crafted chalkware pair of Bavarian Rabbits. This wonderful set was hand crafted using antique chocolate molds. 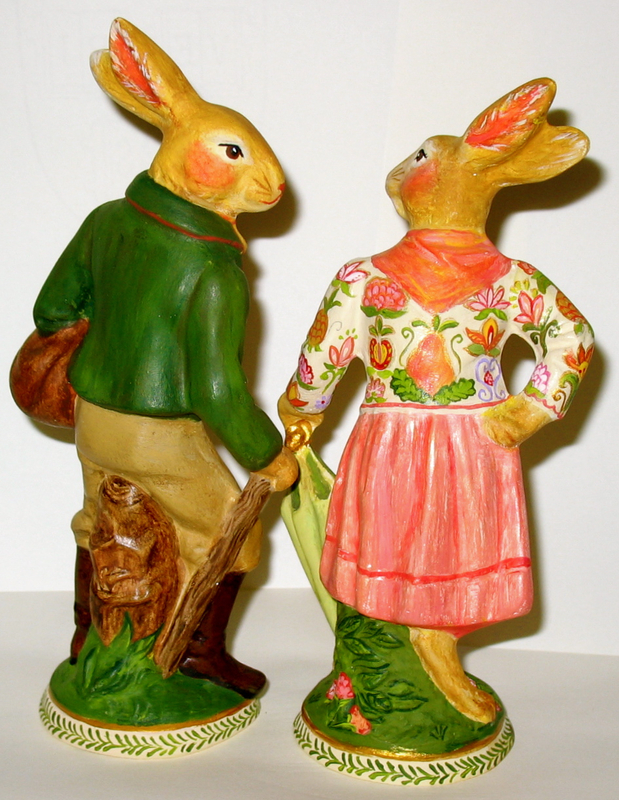 Lovely pair of hand painted chalkware Rabbits setting out for their morning stroll. The pieces were cast in chalkware using wonderful, highly detailed and rare antique German chocolate molds, hand painted antiqued and glazed to reflect an aged patina. The figures measure approx. 6 inches, signed "Bittersweet House Folk Art, Kathryn Campbell, 2009, Sherborn, MA".